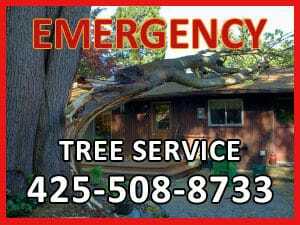 Tree Service Cost - Kenny Tree Inc.
Why must we remove trees when they are so valuable to us? When it comes to removing trees, most people from our beautiful state frown upon the topic. Trees are a tremendous part of the green industry, and keep our environment clean. In fact, if it weren’t for trees, human beings would not be in existence. Trees take in carbon dioxide and let out our much needed oxygen. Trees are basically natural and abundant outdoor air filters! So WHY remove a tree? There is one simple reason – Urban Forestry. The fact is, civilization has increased our population and has dramatically changed our lives and the world around us. In this modern culture, people have valuable homes that are close to potentially hazardous trees. Add weather and storms to this equation, and there you have the answer to that question. In a highly urban area such as a city or suburb, hazardous trees can cause serious damage to structures. It is not uncommon to have trees fall on houses during a storm every year. This is the #1 reason to contact a local professional tree service company that has the expertise, knowledge, equipment & trucks, to handle a dangerous situation. Many people have no idea how much it costs to remove a tree. Tree Removal Costs have a very broad range depending on the size of tree and nature of the work. Is the tree alive or is it dead? Trees that are small in diameter with easy access can cost $100 – $500. A medium sized diameter tree that is a bit more difficult to remove can cost $500 – $2500. A large diameter tree that requires a crane or bucket truck for safe removal can be more. The total tree removal cost really depends on how long the job will take, how technically involved is the removal, Its proximity to other trees and structures and the equipment needed to complete the task. If you are obtaining estimates for tree removal costs, make sure that the company is fully insured and licensed. Also, make sure that they have the proper equipment & trucks to handle the job, specifically if its a large tree in a dangerous setting.